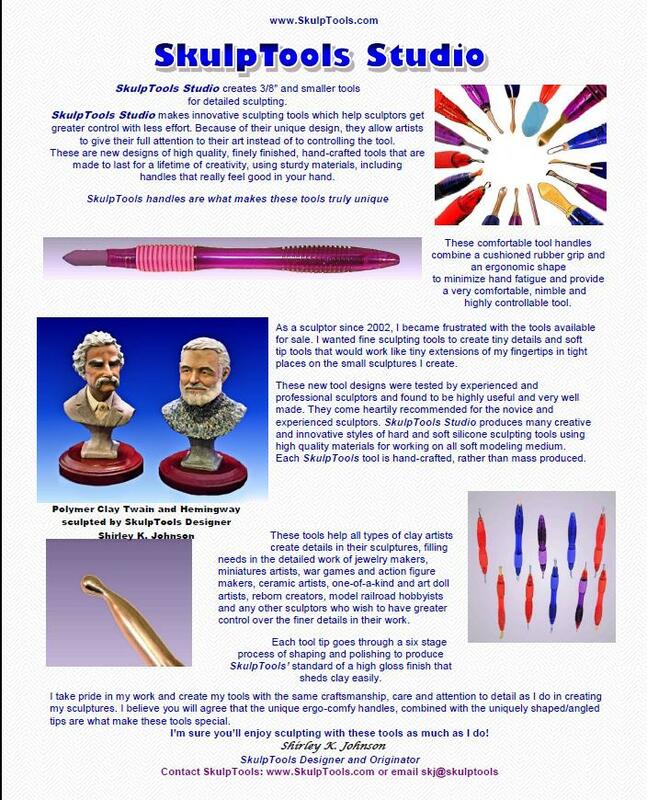 Denise Pettit got some information on some cool new polymer clay tools from SkulpTools Studio. Use the coupon code “POLYMERARTS15” to receive 15% off your entire purchase. That’s in addition to free US shipping.